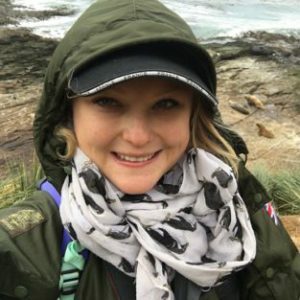 Kayleigh Jones, a seal biologist at British Antarctic Survey, travelled to the Falkland Islands to spend 6 weeks studying South American fur seals. 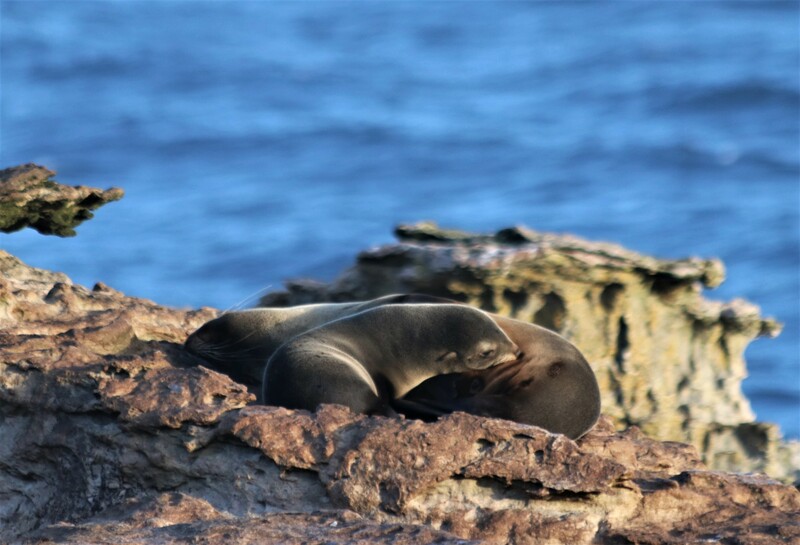 Read on to find out about her first experience working with fur seals in the field. The Falkland Islands are a marine biologist’s paradise. They are home to a vast array of wildlife including whales, seals, penguins and seabirds. One of their most charismatic species is the South American fur seal. Little is known about these mysterious mammals, and through this research we hope to gain valuable insights into their lives. 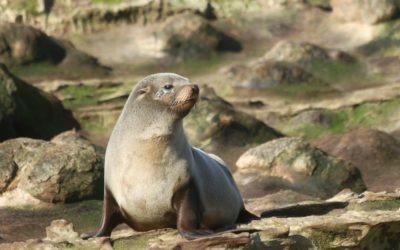 What do we know about fur seals? In the Falkland Islands, adult female South American fur seals give birth to one pup in December and mate about one week after. 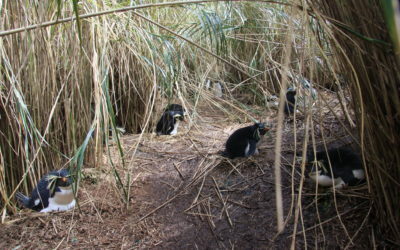 They then balance their foraging trips at sea with suckling their pups on land for about ten months, before giving birth to a pup again in December. This cycle continues throughout their reproductive years. South American fur seal pup suckling from its mother at Bird Island, Falkland Islands. Photo credit: Kayleigh Jones. 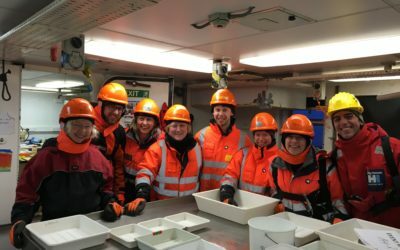 After travelling for one day and one night by ship myself, Dr Alastair Baylis (SAERI) and Dr Rachael Orben (Oregon State University) arrived at our study site: Bird Island, located south-west of West Falkland. 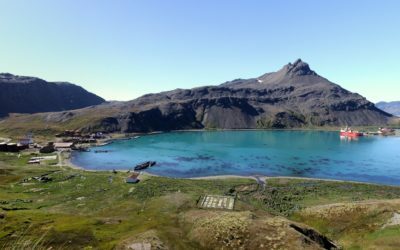 This island consists of tussock grass, boggy ponds, rocky outcrops, and sheer cliffs and was to be our haven for the next six weeks. Our main priority was to collect data to help us understand where female South American fur seals forage when providing for their pups. This knowledge is crucial for the conservation and management of the species. 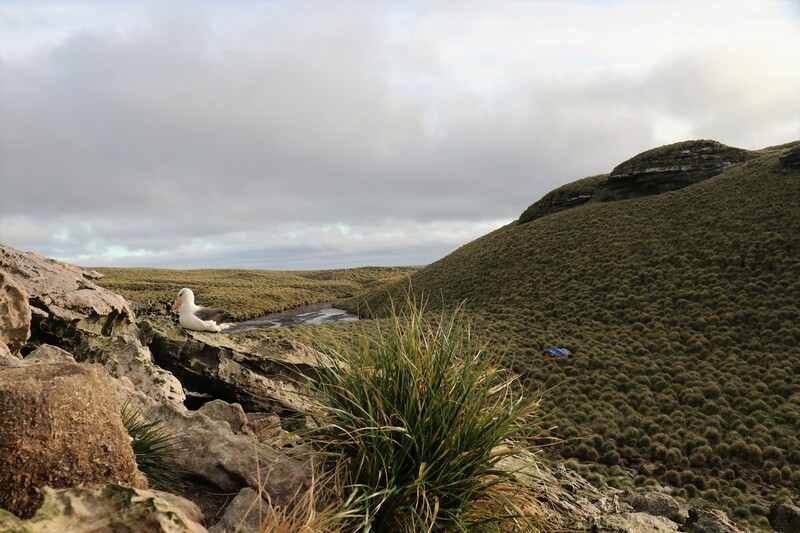 Spot our tent hiding in the expanse of tussock grass on Bird Island, Falkland Islands. Photo credit: Kayleigh Jones. How did we collect our data? To understand where these seals forage, we deployed both GPS tags (combined with VHF tags) and PTT (Platform Terminal Transmitter) satellite tags on adult females. Tags were glued onto the fur of the seals backs. 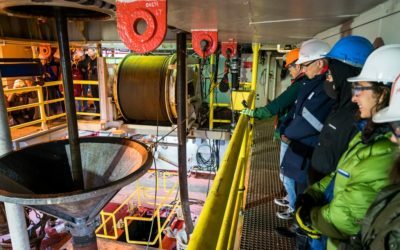 GPS tags record fine scale information about the seal’s location and depth as they travel at sea. However, this valuable data is saved on the tag. Tags were was therefore retrieved after each seal had completed a foraging trip. We could determine when seals had returned to the colony, as their VHF tag emitted specific high frequency pulses, which is picked up by a VHF radio. Seals deployed with PTT tags (which are far less accurate than GPS tags) were not recaptured, as these tags transmit data to satellites, which relay the data to receiving stations on land. These tags will fall off when the seals moult. Deploying tags on adult female South American fur seals was an incredible experience and I felt very lucky to participate in this work, forming part of a SAERI (South Atlantic Environmental Research Institute) project. Keep an eye out for my next blog for further insight into life as a biologist in the field. 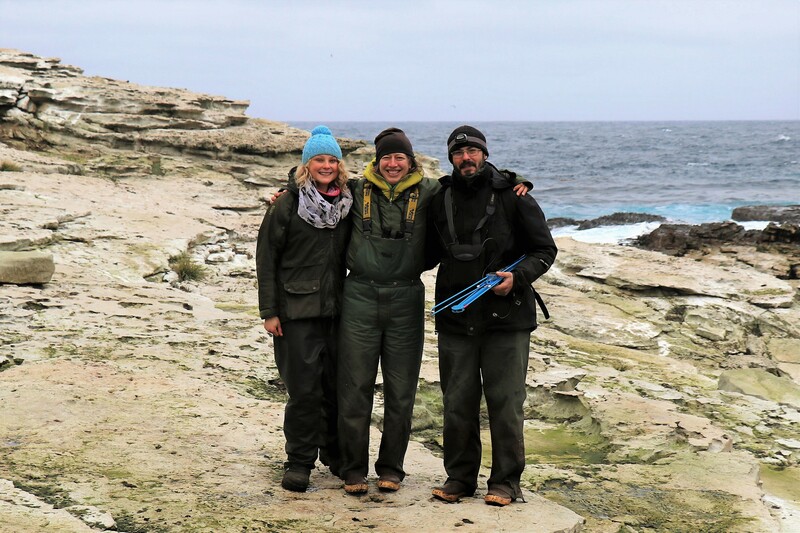 The fieldwork team at the seal haul out site: myself, Dr Rachael Orben and Dr Alastair Baylis (left to right). Photo credit: Kayleigh Jones.